Dishes are like taxes: You have to do them, but it doesn't mean you have to like it. Anytime you can simplify your cooking methods and cut down on the number of pots and pans to wash, it's worth giving it a shot. 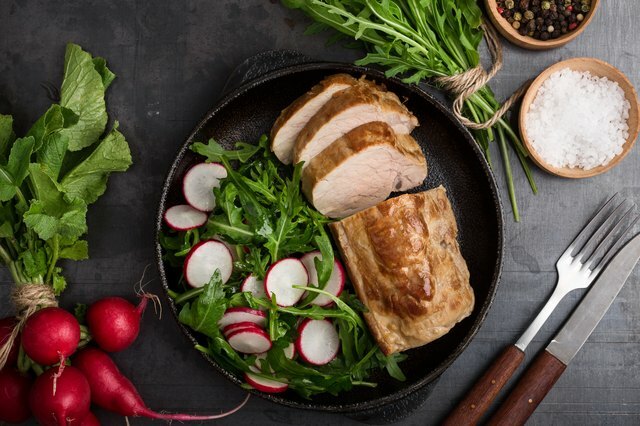 One way to do this is to whip up a pork roast in your favorite cast iron skillet, instead of browning it first and then moving it to a roaster. It doesn't just mean less cleaning; it's actually a really good way to cook a roast. A lot of recipes for pork roasts, or any kind of roast for that matter, call for searing the meat first in a hot pan. There's a really good reason for doing this: It makes the meat taste better. When you brown the meat at a high temperature, the amino acids that make up its proteins get disrupted and recombine into much more complex molecules. This process – called the Maillard reaction – actually creates whole new flavor compounds that weren't in the meat to begin with. You can get browning by starting or finishing the roast in a hot oven instead, but pan searing is quick and effective and puts you in control of the browning. If you're going to pan sear your roast, it only makes sense to finish it in the same pan. Cast iron works really well for searing your roast, because the heavy pan can transfer a lot of heat to the meat without cooling itself off. When you move the skillet from the stovetop to the oven, it keeps providing heat to the underside of the roast. That's a bonus, because hot air currents in the oven will continue to brown the top, but without that bottom heat, your roast would be paler on its underside instead of equally browned and tasty. You'll probably find that your roast cooks a bit faster than usual as well. The basic process is pretty simple. First, heat your oven to the temperature your recipe specifies. Next, put your cast iron skillet on the stovetop over a medium-high burner and heat it until it's really, really hot. 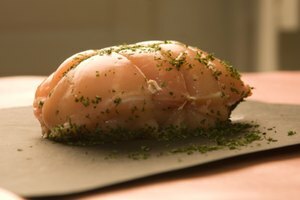 Season your roast and if it has a layer of fat on top, score a pattern of shallow cuts into the fat to help it render out. Put that side in the pan first to crisp and brown a bit, because the dab of fat that cooks out will be all you need to brown the rest. Turn the roast with tongs until it's well browned on all sides and then add any remaining ingredients to the skillet. If you have a meat thermometer, push that into the roast and then slide the skillet into your oven. 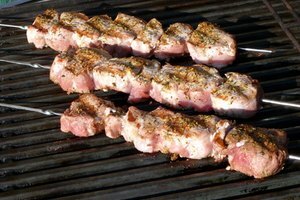 Set a timer for your expected cooking time – the website Pork – Be Inspired has a useful chart – and start checking for doneness as the time gets closer. When it's within a few degrees of being done, take it out of the oven and let it rest for a few minutes before serving. Theoretically, you can cook any roast this way if your skillet is big enough, but handling a massive, screaming-hot skillet with a big shoulder roast in it is just asking for a nasty accident. You're better off to choose relatively small, flat cuts of pork for this treatment, like rib roasts or loin roasts. 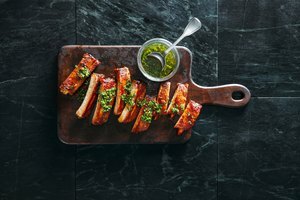 They're ideal for this type of quick, high-heat cookery, and loin roasts have the additional advantage of being one of the leanest cuts of pork.